Last month it was revealed that one of the country's wealthiest and least-known charities, the Cup Trust, had received £176.5m in donations in just two years, claimed £46m in Gift Aid, but spent only £55,000 on charitable causes. Sector leaders labelled it a tax-avoidance scheme and questioned the role of the regulators. Sir Stephen Bubb, chief executive of Acevo, said the Charity Commission had "a lot of questions to answer" over its conduct, while Sir Stuart Etherington, chief executive of the National Council for Voluntary Organisations, said the case raised "important questions about the regulation of the charity". 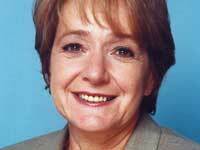 Margaret Hodge (right), Labour MP for Barking and chair of the Public Accounts Committee, which has investigated tax avoidance, called the scheme "flagrant abuse". A report in The Times newspaper said that William Shawcross, chair of the Charity Commission, will be asked to appear before her committee to explain why the regulator did not take action. The charity, which has a sole corporate trustee - Mountstar PTC, based in the British Virgin Islands - was registered by the Charity Commission in 2009. 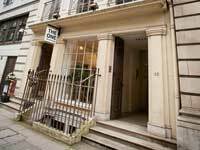 The commission said recently that it was "not comfortable with the charity's set-up" and opened an investigation into its activities in March 2010, but found it was unable to act. The commission has extensive powers under charity law, detailed in its guidance document CC46, to open statutory inquiries into charities and intervene in their affairs. The guidance lists occasions when an inquiry can be opened, including when an organisation is "being used for significant private advantage" or when trustees' actions "impact significantly on public trust and confidence in a charity". An inquiry has the power to take further action if it uncovers mismanagement, including activities likely to "seriously undermine a charity's reputation" or "seriously misuse significant charitable resources". Those powers include the ability to appoint new trustees or an interim manager to run the charity. When asked why these powers were not used in this case, the commission said that opening a statutory inquiry "would not have altered the conclusion that the Cup Trust is legally structured as a charity". A spokeswoman said the commission had "seriously considered" whether or not the Cup Trust should be removed from the register, but concluded it could not be struck off. "After our careful considerations, we could not conclude that the trustees have not complied with their duties under charity law," she said. One of the major issues with the Cup Trust, however, lies outside the commission's remit: it is HM Revenue & Customs, not the commission, that is responsible for ensuring Gift Aid is properly claimed. As far back as March 2010, HMRC issued a statement saying that it would not pay tax relief to a "circular" scheme - the kind the Cup Trust appears to be. So while the trust was able to remain on the register, it does not appear to have achieved its apparently intended purpose of tax avoidance - at least not for very long. There is evidence for this in the trust's accounts for 2010/11, which report Gift Aid claims of £46m still outstanding - almost the whole of the amount it could potentially have claimed. 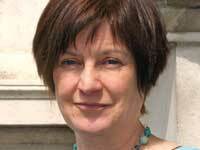 A commission spokeswoman also says "it remains to be seen" whether Gift Aid claims by the trust will be successful. But the accounts do not show what happened about Gift Aid claimed by those who gave money to the trust. If those donors were paying the top rate of income tax - 40 per cent in 2009/10 and 50 per cent in 2010/11 - they could have claimed about another £54m in those two years. The fact that the trust's latest accounts show income only of just over £5,000 for the latest financial year suggests it is no longer active. HMRC cannot give a full account of events, including how much Gift Aid was claimed or paid, because of its duty of confidentiality on the tax affairs of individuals and companies. So it is impossible, at least at present, to say how much tax money was lost. And in the longer term, HMRC's powers are likely to enable it to pursue any donor for the return of any tax relief successfully claimed through the trust. One former commission employee, who does not wish to be named, says the commission might have been asked not to take action by other regulators. "If HMRC was already looking into this and taking appropriate action, the commission might have felt that it could apply its limited resources better elsewhere," she says. It might have been possible to open a statutory inquiry and remove the trustees, but it would have been expensive and difficult, she says. "If you knew another regulator was ready to act, the pragmatic approach might be to step aside," she says. "The commission has limited resources, after all." The commission has at various times hinted that it wants more powers. Jane Hobson (right), head of policy at the commission, told an audience of charity policy experts at a sector policy forum last November that "a more sophisticated range of sanctions" was needed. But the only new powers the commission has said it would like are stronger sanctions against charities that file their accounts late. One specialist sector lawyer suggests the Cup Trust case could actually enhance the commission's prospects of gaining extra powers. "The Law Commission is going to look at charity law very shortly," she says. "That is likely to involve a review of the commission's powers. The fact that it was unable to act on the Cup Trust means it might be more likely to get any new powers it wanted." David Orbison, a former commission case officer and whistleblower who won a case for unfair dismissal at an employment tribunal last July, says that even if the commission did not have the power to act against the charity, it still had a duty to make the world at large aware of what was going on. "This case illustrates the feeble and ineffective stance that has been adopted by the Charity Commission over several years when confronted with evidence of any serious abuse of the system," says Orbison. "Rather than explore ways of using its powers so as to actively disrupt and expose such abuse within the charitable sector, it is content to simply document internally why it should take no action beyond offering advice to trustees running sham charities - advice that the Charity Commission knows can be simply ignored." The charity borrows money to buy government bonds. It then sells those bonds to wealthy individuals at a fraction of their market price. Those individuals sell the bonds at full price, and give the money to the trust. This 'donation' allows them and the charity to claim Gift Aid. Donors paying the top 50 per cent rate of tax are entitled to 37.5 per cent of the donation. The charity is entitled to 25 per cent. The charity may also be able to claim transitional relief - a top-up to Gift Aid that expired in 2011. The Cup Trust raised £176m through this scheme in two years. If Gift Aid was successfully claimed on all that amount, it could have totalled £100m. THE EXTENT OF THE PROBLEM: Are there more 'Cup Trusts' out there? 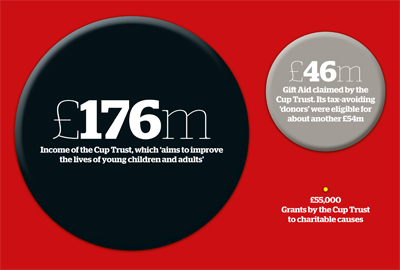 The Cup Trust affair raises the question of whether there are more charities in the UK that raise large amounts of cash, give little to a cause and take advantage of tax relief. If so, are they apparently legal avoidance mechanisms similar to the trust, or are they examples of actual fraud? 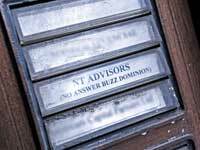 One sector expert, who does not want to be named, has estimated that as many as 50 charities might be involved in tax avoidance or fraud. HMRC says the Cup Trust is not unique, that it is investigating other tax avoidance mechanisms and will "litigate where appropriate". Last year it successfully prosecuted two former employees of the accountancy firm Vantis for "dishonestly submitting, facilitating and inducing others to submit claims for tax relief". David Perrin and Roy Faichney had set up companies, encouraged clients to buy shares in them and 'ramped up' the value of the shares by repeated buying and selling. The shares were then donated to charity and the tax relief claimed. The pair were found to have falsely stated the value of the shares and were jailed for 18 months and four years respectively. HMRC has gradually allowed information about fraud involving charity tax reliefs to trickle out over the past few years. Giving evidence to MPs last year during the parliamentary passage of the Small Charitable Donations Act, Andrew Edwards, head of charities at HMRC, revealed that it had uncovered £10m of attempted fraud over the previous year, and had foiled a would-be fraudster who attempted to set up 189 fake charities. A request to HMRC under the Freedom of Information Act by the Hospital Broadcasting Association also revealed that several hundred fraudulent claims or attempts to register for Gift Aid had been detected between 2009 and 2011, preventing £20m of fraud. Officials have also told sector leaders that up to £100m of fraud is going undetected every year. 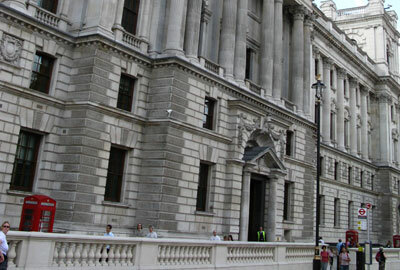 New regulations have recently been devised to counteract fraud in charities, including the 'fit and proper persons' test, which allows HMRC to refuse tax relief to a charity if it has concerns about a trustee or senior manager, and the 'tainted donor' rules, which prevent major donors claiming tax relief on donations to a charity they are connected to. A cap on tax relief on charitable donations proposed in the last Budget was described as another means of preventing charitable tax fraud, leading to protests from the sector that it would inhibit philanthropists from giving. The proposal was eventually dropped by the Chancellor, George Osborne.